Alcohol: In chemistry, an alcohol is any organic compound in which the hydroxyl functional group is bound to a carbon. The term alcohol originally referred to the primary alcohol ethanol (ethyl alcohol), which is used as a drug and is the main alcohol present in alcoholic beverages. 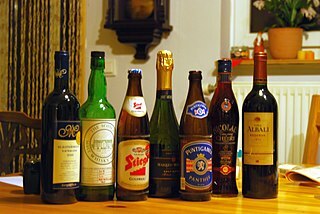 Alcoholic drink: An alcoholic drink is a drink that contains ethanol, a type of alcohol produced by fermentation of grains, fruits, or other sources of sugar. Drinking alcohol plays an important social role in many cultures. Alcoholism: Alcoholism, also known as alcohol use disorder , is a broad term for any drinking of alcohol that results in mental or physical health problems. The disorder was previously divided into two types: alcohol abuse and alcohol dependence. Alcoholics Anonymous: Alcoholics Anonymous is an international fellowship of men and women who have had a drinking problem. Their stated purpose is to enable “members to stay sober and help other alcoholics achieve sobriety." It is nonprofessional, self-supporting, and apolitical. Alcohol intoxication: Alcohol intoxication, also known as drunkenness or alcohol poisoning, is the negative behavior and physical effects due to the recent drinking of ethanol . Symptoms at lower doses may include mild sedation and poor coordination.